Fun news! Schmap is using a photo of mine they found on Flickr (with my permission, of course). They're using this one, from the Conservatory of Flowers. 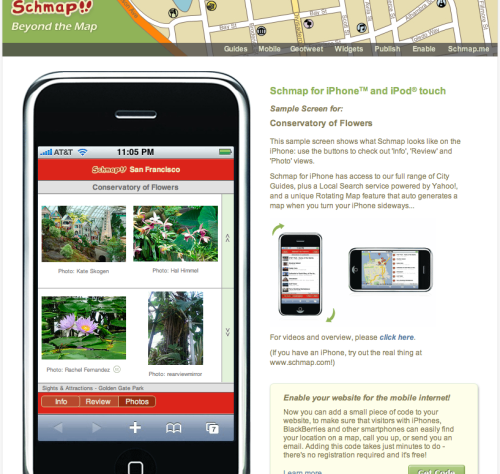 And, a sample screen shot of their iphone app includes my photo, too!